Lawrence University, in conjunction with United Way Fox Cities and the Community Foundation for the Fox Valley Region, is sponsoring a series of free community grant-writing workshops for area nonprofit organizations. 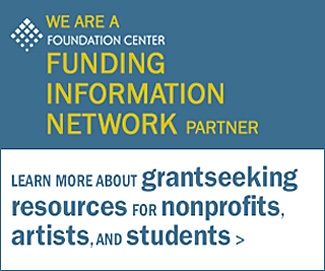 Since May, 2015, Lawrence has served as a partner of the Funding Information Network with the Foundation Center of New York to provide resources for area grantseekers. • August 10, 10:30 a.m.–noon: “Introduction to Proposal Writing Workshop,” James P. Coughlin Center, 625 E. Country Road Y, Oshkosh. • August 17, 11 a.m.–12:30 p.m.: “Introduction to the Funding Information Network Workshop,” Clow Hall, UW-Oshkosh. • August 23, 10 a.m.–11:30 a.m.: “Introduction to Proposal Writing Workshop,” Thomas Steitz Hall of Science, Room 202, Lawrence University. Space is limited for all workshops and registration is required. To register, email Svetlana Belova at svetlana.v.belova@lawrence.edu with your name and phone number. More information about the Funding Information Network at Lawrence can be found here.